Daniel wrote the lead article for the January 2019 National Geographic Magazine: A special issue focused on the ‘Future of Medicine’. 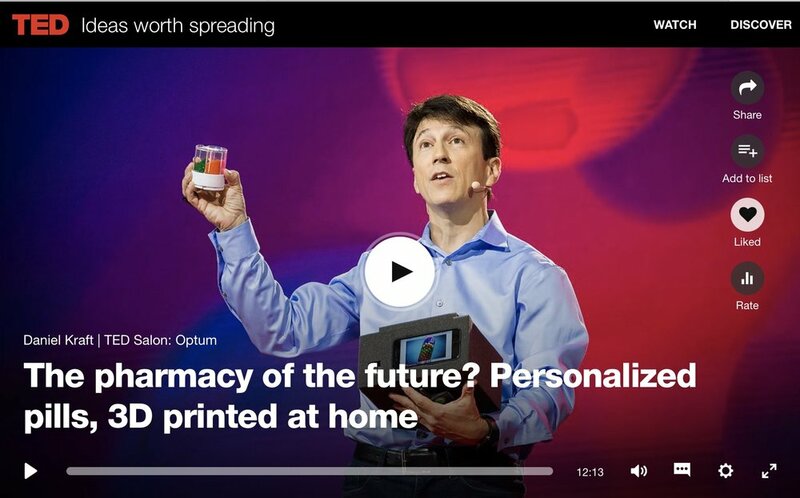 Daniel’s latest TEDTalk: Unveiling his invention of new approach for personalized, precise, on demand medicine. More of Daniel’s TEDTalks can be found here. Sign up with to receive Daniel’s weekly Exponential Medicine newsletter, focused on news and stories related to the future of health and medicine. Sign Up for Daniel's weekly Exponential Medicine Newsletter.